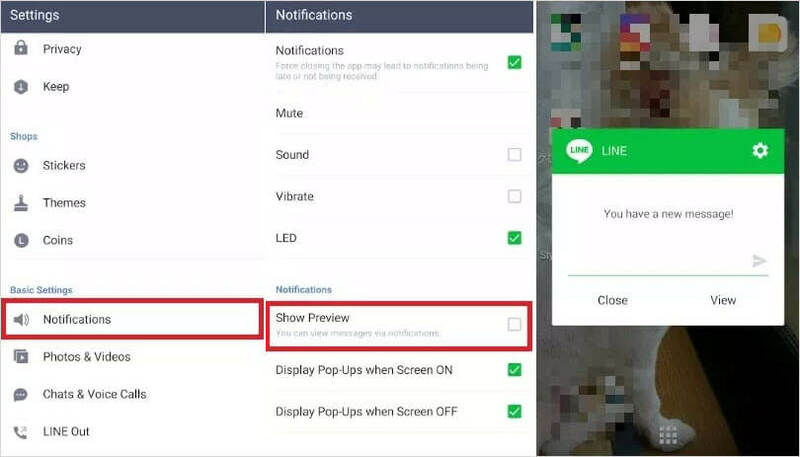 Do you know that some settings on LINE app can help to protect your privacy on iPhone LINE app? If you’re using LINE for business, social or other communication needs, then you need to be very careful in the way you treat your personal information, such as the information in your Phonebooks, messages, videos, voice notes, credit cards, business documents, and more. Go through the following settings to know how to protect your personal information and privacy on LINE. Open LINE app on your iPhone. Go to your iPhone Settings app and launch it. Tap “More” from the bottom tabs. Tap “Notifications” under Basic Settings. In your case, “Notifications” would be ticked beforehand. Untick “Show Preview”. By the settings, you can get a Pop-Ups which tells you you have a new message, without showing the sender’s name and the contents. When you receive a message in iPhone, the content of the message will be displayed with the message notification. However, you can set your LINE app to display pop-ups but with no messages on the pop-ups. 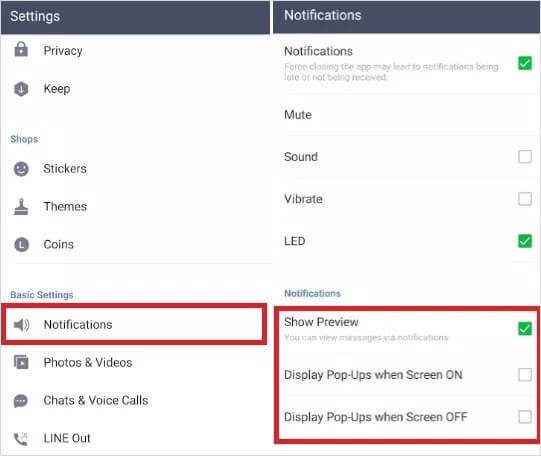 Launch LINE app and navigate to “More > Settings > Notifications”. Untick both “Display Pop-Ups when Screen ON” and “Display Pop-Ups when Screen OFF”. After changing these settings on your LINE app, you won’t get a notification when you receive a new message. But you will see the number of new messages display on the LINE app icon. 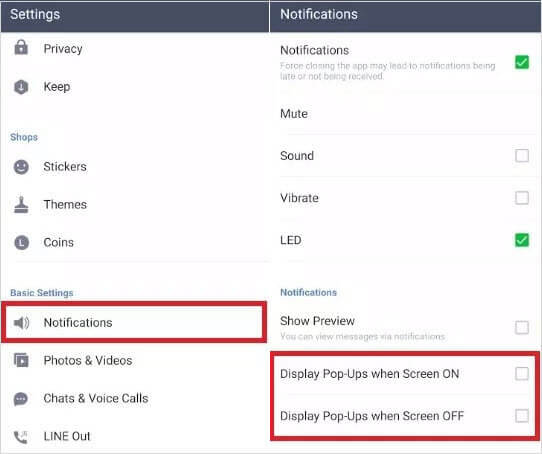 You can set your LINE app to receive only notifications instead of pop-ups; here is how to set it up. Only tick “Show Preview” and untick both “Display Pop-Ups when Screen ON” and “Display Pop-Ups when Screen OFF”. If you’ve set this up, you’ll get messages but the notification will not show. You can set up your LINE app to disallow people who have your phone number to add you as their friends. On LINE app, go to “More > Settings > Friends”. Untick “Allow Others to Add”. 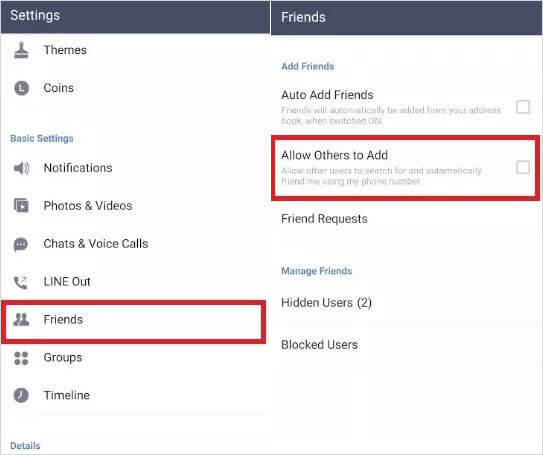 By the way, if “Auto Add Friends” is ticked, LINE users will be automatically added from your phonebook. All these settings can be very helpful when you want to make your privacy secure. However, there is one thing that LINE doesn’t mention, that’s the privacy of your messages of chats. LINE doesn’t promise to the messages or chats you delete will be completely deleted. 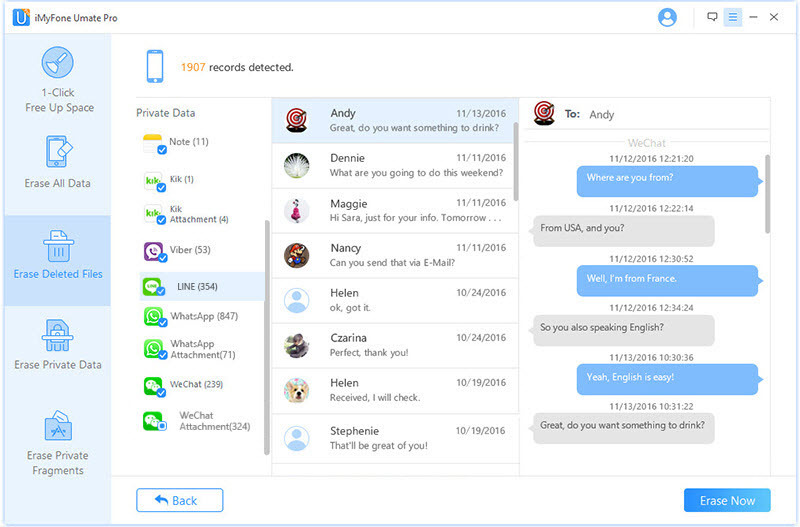 That means any good recovery software can easily recover hidden and deleted chats and messages on LINE app. 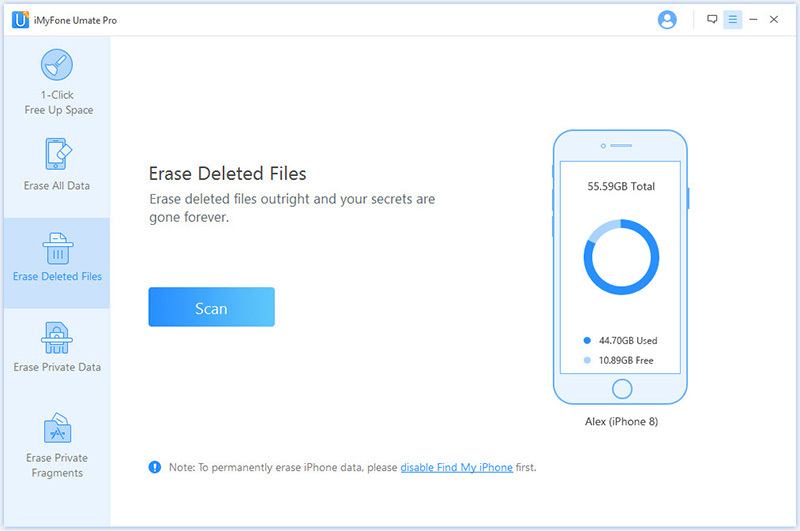 Therefore, if you would like your privacy to be more secure, you’ll need a tool that can successfully remove every LINE message from iPhone and its device drive. iMyFone Umate Pro iPhone Data Eraser is the right tool for protecting iPhone privacy when using LINE app. You need iPhone erasure tool to secure your privacy because the LINE app is not very reliable or secure. Hence, Umate Pro will totally wipe out every LINE messages and personal information stored in your iPhone, which you can’t normally find through settings. Any data erased by Umate Pro is 100% unrecoverable, even by FBI! Safely delete iPhone LINE messages or chats to protect your privacy. Previews and selections are available before erasing them off your iPhone. Scan and wipe previously deleted LINE messages to render them 0% recoverable. Support all iPhone data, like messages, call history, notes, photos, videos, bank info, WhatsApp, Kik and many other files. Step 1. Download and install the official iMyFone Umate Pro on your PC/Mac. Launch it and connect your iPhone using Apple USB cable. Step 2. Choose your erasing mode, like “Erase Deleted Files” mode. Then, click the “Scan” tab. You can also choose “Erase Private Data” to scan and erase existing data, or choose “Erase Private Fragments” to wipe private traces from third-party apps. Step 3. After the scan, It will display all your LINE messages, and data from other apps, you can preview through the files before selecting them for erasure. Step 4. Once selected, click “Erase Now” button. On the next page, type “delete” into the box, select a security level, and click the “Erase Now” button to erase the private files. iMyFone Umate Pro allows you scan and preview your files for free. But it's not complete free. To permanently erase the data, you need to register it first. From all we’ve discussed, it’s evident that LINE app privacy is best to secure when you use iMyFone Umate Pro. So, get your copy of Umate Pro now!